Below are the most frequently asked questions about volunteering with Desert Aid. Please check to see if your question has been answered before contacting the volunteer coordinator. Can I/my group come for a day to volunteer and/or visit? Many people, both visitors and locals, ask to come out with No More Deaths for a day. Because those we are providing humanitarian aid to can be in extremely vulnerable circumstances, we are not able to host day guests who are unaffiliated with No More Deaths at our field sites. If you are interested in seeing more of our work in the interest of sharing it with your own communities or media outlets, please contact our media coordinator, who may be able to organize a site visit to some of the other places where we work in southern Arizona. Please give at least three weeks notice. How can I volunteer with No More Deaths? Please see the main volunteer page. If you do not live in Tucson, Phoenix, Flagstaff, Ajo, or Arivaca and you wish to volunteer for less than a month, please consider our summer and spring volunteer programs; for a month or more, please consider our month-long program. If you do live “in town,” please see the local volunteering page for ways of getting involved in Desert Aid and other No More Deaths projects at a local level. We have extremely limited capacity for those who wish to volunteer outside of our established programs. Requests are considered individually. What sort of training is provided to new volunteers? All new volunteers must attend a Desert Aid training before working in the field. This training covers border history and the history of No More Deaths. It also explains our protocols, group agreements, legal and safety issues, and issues of power and privilege. The trainings are generally hosted in Tucson and last a full day. Volunteers also get an orientation to the local community context of Arivaca upon arrival. However, most pertinent training is ongoing throughout your volunteer experience, for different skills such as GPS navigation and vehicle checks. What does a typical day look like in the desert? Every day is different, depending on what is needed in the field and what volunteers are up for. The goal of the Desert Aid volunteer program is to maintain water and supply drops on known migrant trails via driving and hiking. To achieve this goal, Desert Aid volunteers drive to remote areas of the desert on unpaved, rough roads, sometimes spending several hours in the car. 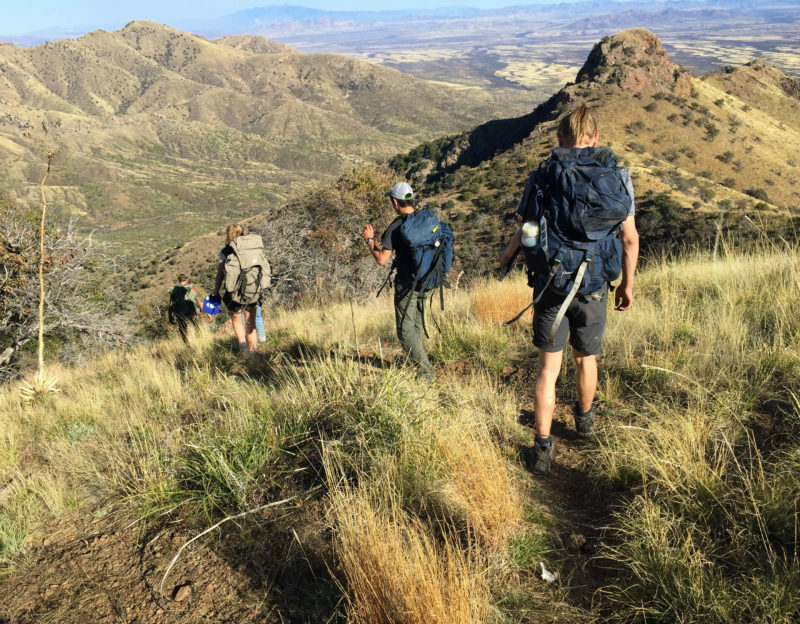 Volunteers then hike to water-drop points up to two miles away over steep or rocky terrain, with no shade, carrying water, canned food, blankets, and other items. Over the course of a day, volunteers may hike five to 15 miles total. Depending on ability, volunteers may carry multiple gallon jugs of water (weighing eight pounds each) on each hike — but many people start easy and build up strength over time. Other possible activities include search-and-rescue or search-and-recovery missions, which may involve hiking over rough terrain. There may also be a chance to take an additional trip to Ajo, Arizona, where we also have a base of operations. Month-long Desert Aid volunteers can also take time off to be in Tucson to rest and catch up on laundry. Volunteers in the program will be accompanied by long-term volunteers (“facilitators”), who are familiar with protocols, can lead driving patrols, and often speak Spanish and have medical training. Most facilitators are based in Tucson or Arivaca, and are volunteers (not paid) balancing their No More Deaths time with school, work, family, and other commitments. Facilitators typically come out for anywhere from a couple of days to a week or more, depending on their availability. You will work with a rotating cast during your volunteer time. Our facilitator capacity generally determines how many volunteers we accept and our overall level of activity. When capacity is reduced, we might do fewer patrols. We ask for your flexibility during your volunteer experience as facilitator capacity fluctuates. We also work with Tucson-, Phoenix-, Flagstaff-, Arivaca-, and Ajo-based “in-town” volunteers, who may come out for shorter stints on a year-round basis depending on their availability. Occasionally, we host media visits, delegations, allies, and other visitors. Volunteers will be informed of any guests during their stay. We invite people of conscience everywhere to join in this effort. Participation requires no special skills or background, although Spanish and medical skills are helpful. We require only a commitment to putting one’s beliefs into practice. 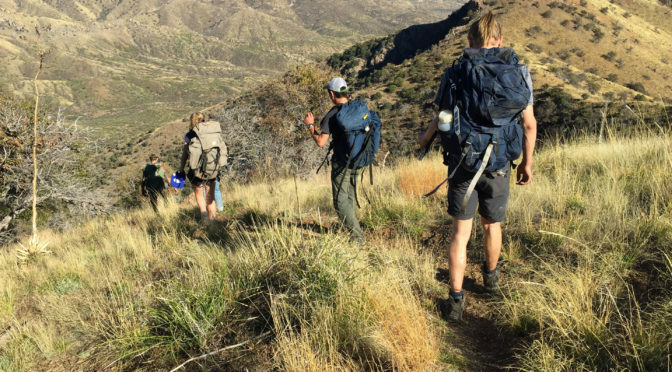 If you are willing to tolerate a degree of emotional intensity, stress, and physical discomfort for the sake of something you believe in, and you are physically able to hike mountain trails, carry weight, and tolerate bumpy car rides (under hot sun, most times of the year), we urge you to join us. Please contact the volunteer coordinator if you have physical limitations and would like to volunteer, as we are often able to make special arrangements. See also Can my preexisting health conditions and/or severe allergies be accommodated? No More Deaths stands in solidarity with people of all statuses against the violence and oppression of the United States border and all borders worldwide. We believe it is imperative for solidarity organizations such as ours to take direction from impacted communities and to centralize the lead of undocumented and migrant folks in the struggle against the border crisis. One way we hope to do this is by making our work as accessible as possible to anyone who wishes to join us in the borderlands, regardless of their status. Over the years, NMD has hosted folks of all statuses. However, under the current administration, movement of folks with anything other than US citizenship status is increasingly restricted and perilous. Border Patrol immigration checkpoints are proliferating: there are currently checkpoints on all roads that lead north from the border as well as on major highways to the east, west and south of Tucson. Plotting an overland route to and from Tucson that reliably avoids driving through a checkpoint can be challenging and may result in volunteers having to drive many long additional hours out of their way. Only U.S. Citizens can pass through Border Patrol checkpoints without worry. Increasingly, the response of Border Patrol agents to people with other statuses – students with visas, asylum applicants, DACA folks and others – has become much less predictable. Additionally, doing humanitarian aid work in the field increases volunteers’ exposure to BP agents. We cover the same terrain they do, and may run into them on the roads, in the border towns where we work or out on remote desert trails. In any of these places, Border Patrol has the authority to detain, question and arrest anyone they suspect of being undocumented. At this time, No More Deaths has no legal recourse to protect undocumented folks if they are apprehended by Border Patrol and the threat of deportation, even for those with DACA status, is very real. People with discretionary statuses (such as visas and Permanent Residency) may face consequences to maintaining their status if they encounter other legal complications during their time with No More Deaths (i.e. being given a littering ticket for leaving water in the desert). You must carry your original documents and keep copies in a safe place (you may want to keep copies in your email account). Our aim in providing this information is neither to recommend nor to dissuade anyone from coming. Rather, we want to provide all potential volunteers with as much information as possible so that they may make an as-informed-as-possible decision when considering joining us. We are always available to discuss further with interested groups or individuals about volunteering with us, especially regarding safety for all involved. Please reach out with any questions or for clarification. You can email our volunteer coordinator at volunteer@nomoredeaths.org. Also check out these other immigrant justice organizations in Tucson. Can we come as a group to volunteer together? We have recognized that volunteering as part of a church group, school group, or group of friends often makes it easier for volunteers to prepare for their trip and provides a natural and preexisting support network for challenging work and a good starting place for organizing for migrant justice when volunteers return to their home communities. However, we do not have the capacity to accommodate groups or even pairs of volunteers all year round, not even groups of two. If you would like to volunteer for No More Deaths as a group, please consider applying for the spring volunteer program or the summer volunteer program. During the rest of the year (April–May and August–February), we typically cannot accommodate groups due to our capacity limitations. Groups of fewer than four may apply for the month-long program, but please keep in mind that due to the limited number of spaces, we may accept some members of the group and not others. Can I get college credit and/or community-service hours through volunteering with No More Deaths? No More Deaths does not have a program that offers college credit, but volunteers are welcome to keep track of their community-service hours and have the volunteer coordinator sign off on them, for school purposes or any other purposes. How important is speaking Spanish and having medical training? We appreciate a range of skills and backgrounds in volunteers. Spanish fluency and medical training are high-demand skills, but we also appreciate volunteers who can work on cars, create a loving presence for individuals in distress, help with construction projects, organize our sanitation practices, cook for large groups of people in an outdoor kitchen setting, and just generally be willing to wash dishes and help keep things running. All volunteers will step up during the in-field training to take on roles that help our work function smoothly. There will always be long-term volunteers present who speak Spanish and have first-aid training. There is a medical team to support the provision of first aid. Will I be safe volunteering for No More Deaths? As far as emotional risks go, our work can be very stressful. We meet people who have suffered and are suffering greatly and who are often caught in limbo in a situation with grave consequences for their lives and the lives of their families. The potential for vicarious trauma is high. We ask that you carefully consider your mental and physical capacity to work in such an environment before you apply to join us. As far as physical risks go, the desert poses many dangers to health, including animals, insects, cactus spines, dehydration and heat exhaustion. Many of these dangers can be avoided by following the advice of those facilitating your volunteer experience. We take certain precautions to mitigate risk while in the field. While on patrols, we take cell phones, satellite phones, GPS, maps and other tools to prevent us from getting lost and enable us to seek help quickly in an emergency. Each patrol brings a first-aid kit and truck supplies in case of a breakdown, and typically each patrol includes a volunteer trained in first aid and able to speak Spanish. Is No More Deaths’s work legal? We are very clear about the legal parameters of our work in the desert with volunteers, and we cover our protocols extensively in training. We do not do anything illegal, and our work is supported by a team of lawyers. Unfortunately, this does not mean we are immune from legal threats and challenges. You should carefully consider your willingness to accept the legal risk. Our legal team will support any volunteer who faces legal charges while carrying out the work of No More Deaths under our protocols, and will work to resolve legal issues while protecting the mission of the organization. For example, volunteers may be asked to contest littering charges through court procedures rather than pay tickets and imply wrongdoing. Individuals in more vulnerable legal situations, such as non–US citizens and individuals with prior legal histories, need to weigh these questions carefully and inform the volunteer coordinator and long-term volunteers of their preferences. Have volunteers experienced race-based harassment? Unfortunately, yes. Racism and its effects exist everywhere in this country, and they are amplified on the border. One of the effects of intense border militarization that we encounter on a daily basis is racial profiling. NMD volunteers who are Latinx, or perceived to be, have encountered targeted harassment and profiling from law-enforcement agents and others in the field. We regularly encounter Border Patrol agents at checkpoints and on patrol, sometimes in cars and sometimes on foot in remote places. We recognize that although we work to support our volunteers and minimize risks wherever and however possible, we are working in the context of systemic and violent racism. You should consider the personal risks you may face. Ask the volunteer coordinator if you have questions or concerns. Within the organization, we set out group agreements to respect all volunteers and work with each other in the spirit of service and direct communication. We do not tolerate harassment within our work, and we are committed to immediate conflict resolution when issues arise. Why does No More Deaths request fees from its volunteers? Providing year-round humanitarian aid is a costly project, and it takes considerable financial resources to support the volunteer programs. No More Deaths is a grassroots-funded organization, with a majority of donations coming from individual people of conscience. Fees from the summer, spring, and month-long volunteer programs represent a significant percentage of the budget. The recommended fee amounts are determined based on our expenses. Volunteering with No More Deaths represents a significant commitment to our cause, and we request the fees as a part of that commitment. Volunteers draw on their community’s fundraising capacity and/or their private financial resources to muster the fees. What if I can’t afford the requested volunteer fees? We strongly encourage using grassroots and community fundraising to raise your volunteer fee, even if you can afford to pay them out of pocket. By inviting your community to support your participation in the program, you raise awareness of border issues and build a stronger support network for yourself and for No More Deaths. Some of the creative ways that volunteers have raised funds to cover their volunteer fees include dinner parties, crowdfunders, letter-writing campaigns, presentations to school/church communities, and requesting funds from their university. We are happy to share presentation and outreach resources to support these efforts. When the volunteer fee is prohibitive and fundraising is not possible, we work with applicants on fee reductions. No one is turned away for lack of funds. Do I need my own vehicle to participate? No. We have vehicles to transport volunteers to the desert from Tucson, and to go out on patrol and do water drops. However, we cannot provide transportation around Tucson for volunteers. This means that we generally do not provide airport and/or bus station pickups, or transportation when volunteers are in Tucson on breaks. The volunteer coordinator can provide information on public-transportation options, and sometimes, a bike is available. Whenever possible, we ask groups of five or more volunteers who participate in our spring and summer volunteer programs to provide their own transportation to the field. Normally, this means renting or borrowing a four-wheel-drive, high-clearance vehicle, such as a pickup truck or SUV. Will I be expected to drive? Volunteers who are comfortable with it may be asked to drive No More Deaths vehicles or personal vehicles from Tucson to Arivaca on the highway. Volunteers who stay for several weeks may be trained to drive our trucks on back roads, depending on our needs and the skills of volunteers. A valid driver’s license and training by a facilitator are required. Is there somewhere I can store my car (or other stuff) while I’m in the desert? Generally, yes, just let the volunteer coordinator know and they’ll arrange it. Will I be in the field for the entire time I’m in the program? It depends on the length of your volunteer stay. Volunteers working with us for a week can expect to be in the field all week after the training. Volunteers who work with us for a month or more can expect to take regular breaks in Tucson to rest and recuperate. No More Deaths provides housing for these volunteers in Tucson; however, you may need to cover your own food costs. We provide short-term housing for out-of-town volunteers immediately before and immediately after their volunteer commitment, as well as on breaks from the field. We do not provide long-term housing or housing beyond the volunteer period. If you do not have access to certain items on the packing list, please check out our Gila Gear-Lending Library. The weather varies with the season. Please look up the weather and climate in Arivaca, Arizona to see what it will be like while you are here. The Sonoran Desert is very sunny most of the year. April through August tends to be very hot. Heavy monsoon rains begin in mid-July and last through early fall; during monsoon, there can be rapid temperature drops and electrical storms. During the late fall and winter, it may be below freezing at night. Please pack accordingly. Can I use my cell phone in the field? Though reception varies by provider, volunteers should not expect to have cell-phone coverage everywhere we go. Major cell companies have signal in the town of Arivaca, which volunteers pass through every day or two. While out on patrol, cell service is intermittent, but can often be found at high points. We carry satellite phones when we will be in very remote areas. Most of the food we eat is vegetarian. We accommodate volunteers who are vegan or gluten-free or who have common food allergies or follow halal or kosher diets. For other dietary restrictions, volunteers may need to bring their own food. Please let us know about your diet on your volunteer application. Can my preexisting health conditions and/or severe allergies be accommodated? Yes, but we need your help. Please disclose on your volunteer application any preexisting health condition or severe allergy that may affect your time in the desert. Because we are often in remote areas, it is important that we be prepared to respond to any health emergency, including but not limited to those that require medical evacuation. This is why full disclosure is essential. How can I document my time with No More Deaths? We encourage volunteers to document their experiences through photos and journaling. However, it is critically important that patient privacy be maintained. We are providing care to undocumented individuals in dire and often life-threatening situations. Volunteers are not permitted to take photographs of migrants receiving aid, and may not disclose their names or other individually identifying information. We also discourage you from telling their stories for them, even if you do so without identifying them. Share your own experiences, not those of others. See also What are the best ways to support No More Deaths’s work before or after volunteering with Desert Aid? What are the best ways to support No More Deaths’s work before or after volunteering with Desert Aid? We encourage volunteers coming from outside Arizona to “bring home” their experiences on the border. While it may be more visible in the areas where NMD works, the border is everywhere and affects people living in all parts of the United States. Bringing home your experiences could mean connecting with migrant-justice issues and organizing in your community; presenting on the effects of border militarization at your school or church or in a community group; connecting with programs that visit immigrants in detention in your state; writing an article for a local paper about your experiences; organizing a sock/backpack/shoe drive; hosting a benefit party; or sharing your stories on social media. Be sure to tell us how you “took it home” so we can share it with the broader NMD community! If your question wasn’t answered by any of the above, please contact our volunteer coordinator.